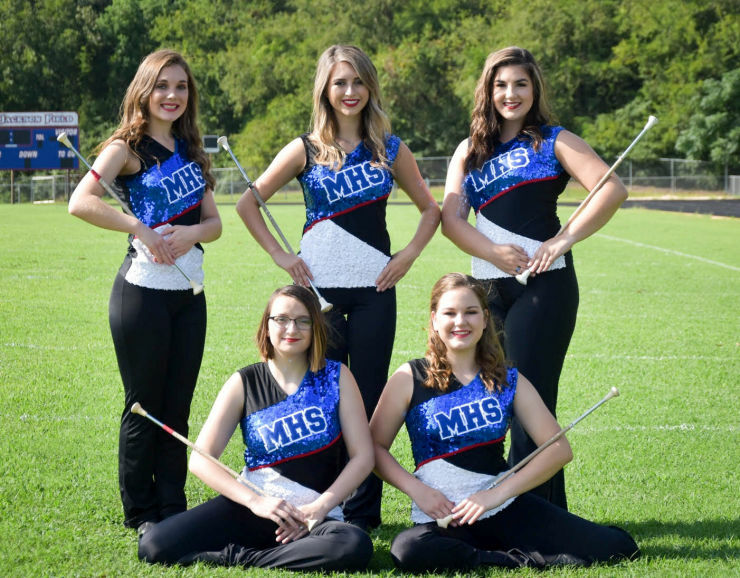 The MHS Twirlers perform at halftime of each of the Wildcat varsity football games as well as in pep rallies and UIL competitions. 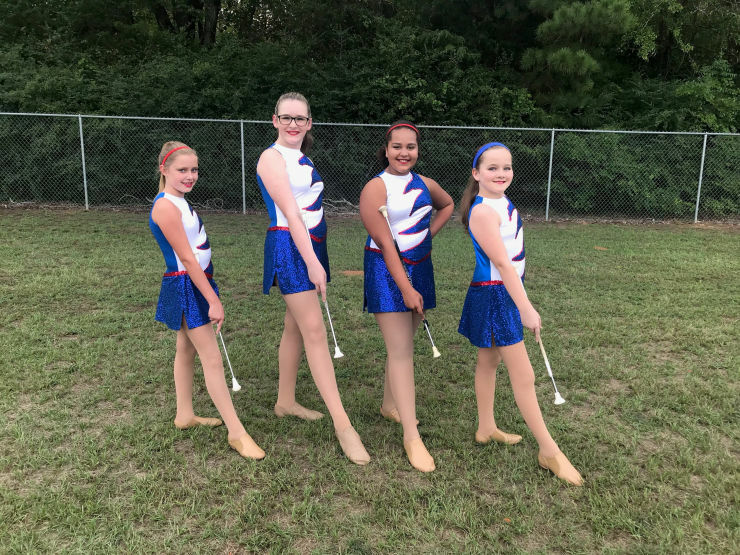 The varsity twirlers include Jaden R, Katie A, Samantha D, Callie H, and Alana D.
The JH twirlers will perform at the Wildcat junior high home games. The JH twirlers include Ava L, Kira S, Rhyanna W, and Bailey B. The twirlers are instructed by Mrs. Candice Curbow and Mrs. Paula Wigand, asst.